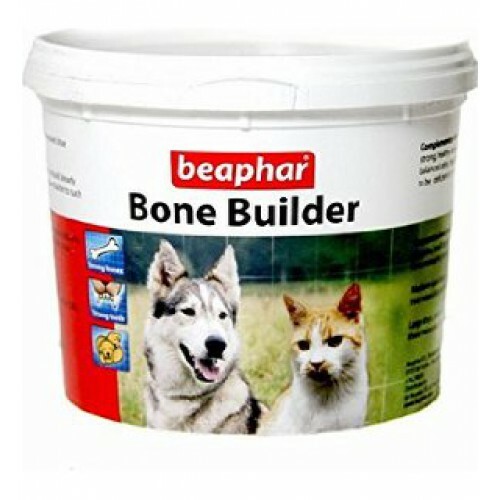 Bone Builder provides the essential building blocks for strong, healthy bones and teeth. A nutritional supplement containing calcium and phosphorus in a balanced ratio, that can be added to home-prepared meat-, soy- and fish-based diets, which are likely to be deficient in these minerals. Others Details Bone Builder provides the essential building blocks for strong, healthy bones and teeth. A nutritional supplement containing calcium and phosphorus in a balanced ratio, that can be added to home-prepared meat-, soy- and fish-based diets, which are likely to be deficient in these minerals.